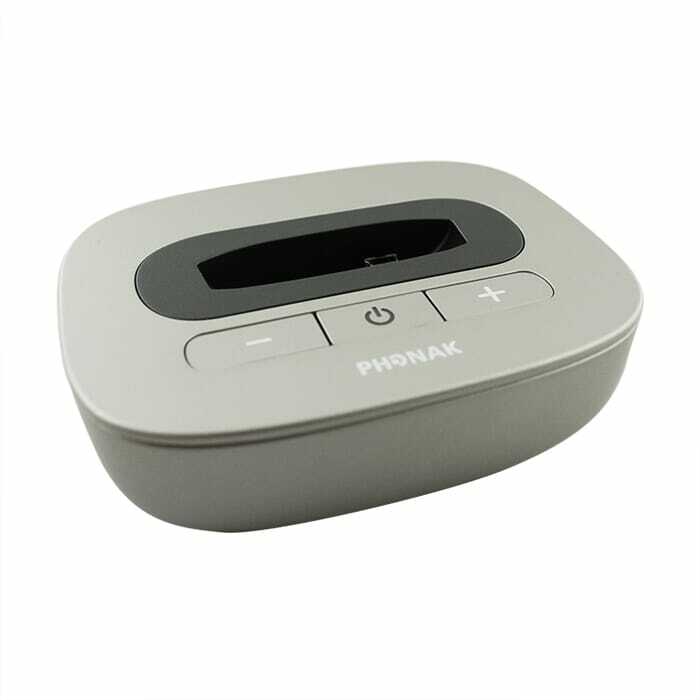 For hearing impaired people that have trouble understanding TV even with hearing aids, the Phonak TV Link II base station will be a big help. The Phonak TV Link II easily connects to the audio output or headphone jack of almost any audio source such as TVs, stereos, Mp3 players, radios, computers and more, then transmits that audio signal via Bluetooth technology to the Phonak wireless receiver you wear (i.e. ComPilot or ComPilot Air II), thus enabling the sound to be streamed in stereo quality directly through their hearing aids. In addition, unlike other assistive listening devices, your hearing aids do not have to be removed when using the Phonak TV Link II. This allows users to stay connected to other sounds around them such as conversations, while still enjoying the digital audio sounds they are streaming. and get both devices together and save a few bucks, while still getting everything you need to enjoy a better listening experience while enjoying the convenience of wireless Bluetooth technology with your TV.